Dyauṣ Pitā (द्यौष्पितृ / Dyauṣpitṛ, literally "Sky Father") is the ancient sky god of the Vedic pantheon, consort of Prithvi Mata "Earth Mother" and father of the chief deities of the Rigveda, Agni (Fire), Indra, and Ushas (Dawn). In the Rigveda, Dyaus Pita appears only in verses 1.89.4, 1.90.7, 1.164.33, 1.191.6 and 4.1.10, and only in RV 1.89.4 does Pitar Dyaus "Father Sky" appear alongside Mata Prithvi "Mother Earth". He is mainly considered in comparative philology as a last remnant of the chief god of Proto-Indo-European religion. The name Dyauṣ Pitā is etymologically parallel to the Greek Zeus Pater, and closely related to Latin Jupiter. Both Dyauṣ and Zeus reflect a Proto-Indo-European *Dyeus. Based on this reconstruction, the widespread opinion in scholarship since the 19th century has been that Indra had replaced Dyaus as the chief god of the early Indo-Aryans. While Prthivi survives as a Hindu goddess after the end of the Vedic period, Dyaus Pita became almost unknown already in antiquity. 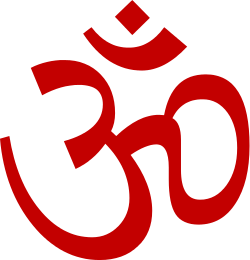 The noun dyaús (when used without the pitā "father") means "sky, heaven" and occurs frequently in the Rigveda, as a mythological entity, but not as a male deity: the sky in Vedic mythology was imagined as rising in three tiers, avama , madhyama, and uttama or tṛtīya (RV 5.60.6). In the Purusha Suktam (10.90.14), the sky is described to have been created from the head of the primaeval being, the Purusha. 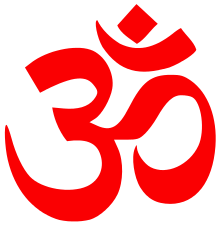 ↑ "The general opinion respecting Dyaus (Heaven) and Prithivi (Earth) is that they are amongst the most ancient of the Aryan deities, hence they are spoken of in the hymns of the Rig-Veda as the parents of the other gods." W.J. Wilkins, "Dyaus and Prthivi" in Hindu Mythology, Vedic and Puranic 1900.